Filter Holdings offers a variety of filter press cloths for drape-over, non-gasketed or CGR press plates in sizes from 240mm to 1500mm. Filter press cloth fabric options include woven fabrics in spun, multifilament or monofilament construction to high quality felted fabrics, along with a wide range of standard and optional fabric finishes and retention characteristics. We also offer polypropylene press plates for popular presses in drape-over, non-gasketed or CGR configuration. 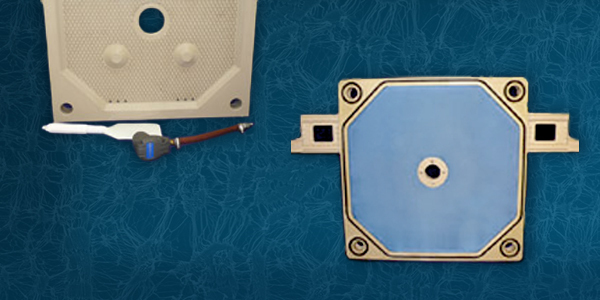 Our press plates are compression-molded for greater strength, resistance to chipping, and longer service life. As a companion to press cloths and plates, we offer a wide variety of accessories available from stock such as gasketing, scrapers and air hammers.